England mounted a superb 2-1 comeback over Croatia on Sunday to seal their place in the UEFA Nations League finals. The World Cup finalists looked set to beat the Three Lions once again this year, as Andrej Kramaric’s twisting finish handed them a 1-goal lead in the 57th minute. However, substitute Jesse Lingard bagged a 78th-minute tap-in to level the scores, before captain Harry Kane scored the winner with just 5 minutes left of normal time. 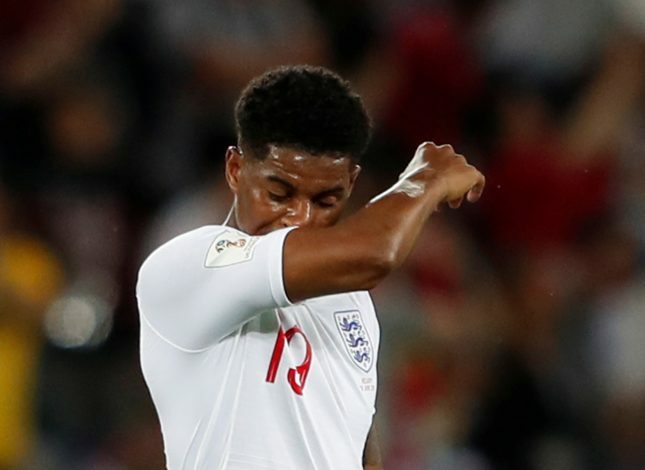 While Gareth Southgate’s side played admirably, the performance of one English starlet – particularly a piece of skill displayed by him in the first half – left the fans impressed enough to point it out on social media. During his cameo in the first 45 minutes, Manchester United starlet Marcus Rashford came face-to-face with Luka Modric, with the Real Madrid superstar making an attempt to take the ball off the Englishman. However, the youngster showcased a sublime piece of trickery, which helped him make his way past the Croatian with ease.